A flavorful addition to salads and sandwiches. 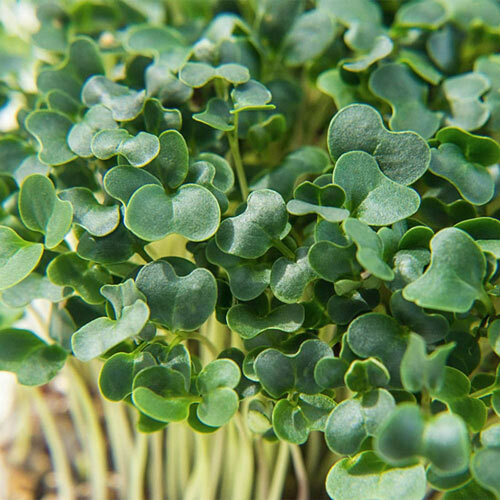 Kale Organic Microgreens have a sweet, bold flavor and pack just as much nutrition as broccoli. They're a real superfood! Eaten as young seedlings, microgreens are harvested just before growing their first true leaves. These baby plants can be grown indoors year-round. They're especially rewarding to grow during the winter months when the outdoor garden isn't producing. For growing them, we recommend our easy-to-use Microgreens Growing Kit. 10-14 DAYS. LightGrow near a window or under grow lights. CommentsKeep seeds moist, but not wet, and remove the plastic covering as soon as seedlings emerge.